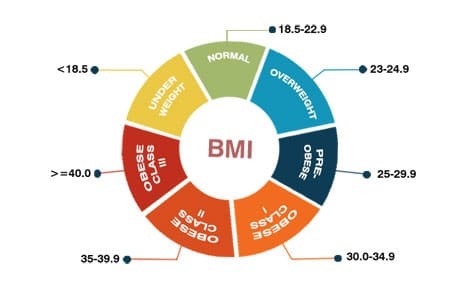 Body Mass Index (BMI) is a number calculated from a person’s weight and height. It provides a reliable indicator of body fitness for most people and is used to screen for weight categories that may lead to health problems. Your BMI number will place you in a range that spans from very healthy to very unhealthy. An estimated 45 million Americans diet each year and spend over $30 billion a year on weight loss products. Yet, nearly two-thirds of Americans are overweight or obese. From self-consciousness to physical limitations, many overweight people feel that their size is keeping them from being who they really are. Obesity is a chronic disease recognized by the American Medical Association (AMA) that requires lifelong treatment and medical care. Your BMI is an indicator that will help you know if you should be seeking medical attention. If your BMI is over 25, it is time to consider taking action to improve your health.